Chambersfield Economides Kranos proudly announces that the International Organization LEGAL500 has recognized our law firm as a Leading Law Firm of 2018. 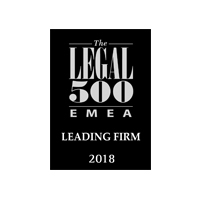 Legal 500, is a reputable organization that for 29 years is evaluating the competences of law firms, worldwide, by considering their strong points. Chambersfield Economides Kranos has been Recognised and Honoured by Advisory Excellence network as a Recommended Full Service Law Expert firm in Cyprus. 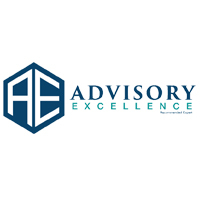 Advisory Excellence network is an international body that profiles the leading experts that are distinguished from their innovation and performance worldwide. 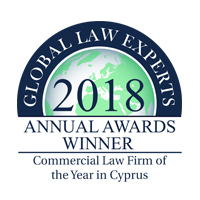 For a consecutive year, Chambersfield Economides Kranos Law Firm has been awarded in the category Commercial Law – Law Firm of the Year in Cyprus 2018 – by the renowned International Global Law Experts network, at their 9th Annual GLE Awards. Chambersfield Economides Kranos won the prestigious award after the analysis and feedback from over 180,000 responses received by high net-worth individuals, business consultants, independent law firms, bar association members, GLE own independent research, in-house legal counsel, etc. 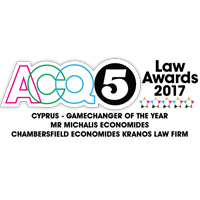 Michalis Economides awarded with the title CYPRUS – GAMECHANGER LAWYER OF THE YEAR by ACQ5 International Law and Global Awards 2017. ACQ5 Law Awards recognize industry leaders, eminent individuals; exemplary teams and distinguished firms, which readers believe that represent the benchmark of achievement and best practice in a variety of fields, on a global level. Chambersfield Economides Kranos awarded as a Top Awarded full services International Law Firms in Cyprus. 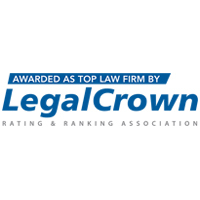 The Legal Crown Association is a leading organization with the aim to promote the A+ law firms around the world. Michalis Economides, CEO and Founder of Chambersfield Economides Kranos has been recognized by The Lawyer Network as an exclusive, leading expert and a Full Service Law member in Cyprus. 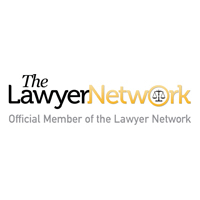 The Lawyer Network assists in finding law firms across the globe that will have the knowledge and qualifications for firms to work with in their national markets. Chambersfield Economides Kranos has been awarded from Internationally Advisory Excellence as a full service Law Firm in Cyprus. 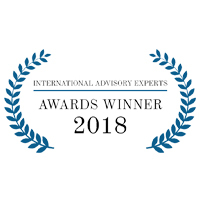 International Advisory Experts is a global alliance of renowned and qualified legal, financial and consulting firms knowledgeable and determine to provide professional solutions to international business requests. 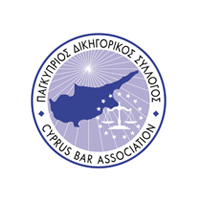 Chambersfield Economides Kranos is a registered member of the Cyprus Bar Association for providing legal, corporate and fiduciary services. Michalis Economides, CEO and founder of Chambersfield Economides Kranos is a member of the Chartered Institute of Arbitrators of England and Wales. 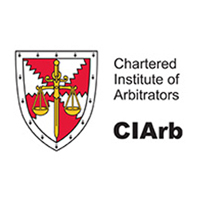 CIArb is an international center of excellence for dispute resolutions. Michalis Economides, CEO and founder of Chambersfield Economides Kranos is a Barrister at Law of England and Wales. 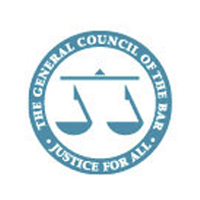 He is a member of The General Council of the Bar, a professional association for barristers in England and Wales.